Everyday at the Y we create outstanding child-centered programming in a nurturing learning community where the values of honesty, respect, responsibility and caring are learned and developed. After the Bell is designed to be flexible enough for working families, with classes that empower kids to make healthy choices and try new skills. We start each afternoon with a healthy supper and activity play, both indoors and out followed by focused time in the Y where YMCA Staff help with homework and provide quiet games that support academic achievement. Enrichment activities are offered from 4:00 pm to 5:00 pm allowing youth to explore a variety of arts, hobbies, sports, LARP and STEM based activities. Enrichment themes rotate monthly. Activities are available from school dismissal until 5:30 pm. This includes a five component supper cooked from scratch on site, physical activity, homework help and daily enrichment activities. Financial Assistance: Everyone is welcome at the YMCA! No child or family will be turned away due to inability to pay. Thanks to generous donors we have financial assistance available for all programs to those in need. Pick up the Member Support form at the front desk of your local YMCA. Every child needs the opportunity to unwind after a day of being “on” at school. We provide that at the Y, allowing down time and a healthy meal before activities start each afternoon. This innovative component of After the Bell pairs physical activity with project-based activities. Research shows this pairing provides positive results for both health and academic achievement. Each day students utilize fitness spaces at the Y and the park for physical activity and then return to the YMCA ATB classroom for academic work. Daily Physical Activity Period: Fun, quality movement and varied activities are the basis for Fundamentally Fit, providing a solid foundation for a healthy lifestyle. Group games, circuit style exercises, dance and sports are introduced throughout the school year. Daily Library Period: Children have access to volunteers and staff for traditional homework help with all school subjects and are introduced to additional exercises and stimulating activities that promote literacy and hone skills. The Y is proud to present a variety of Arts, STEM, LARP, and Fundamentally Fit Physical Activities. Enrichment Classes begin at 4:00 pm and are held at the YMCA facility unless otherwise indicated. Classes are open to students in grades K-6. 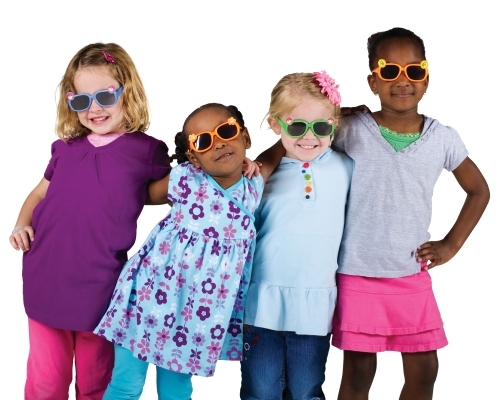 The Y provides a schedule of classes by month at the beginning of each school year. STEM: Y Staff and a variety of local volunteers share their passion with our students. Everything from Legos to chemistry and architecture can be found at the Y at some point during the year. Sewing, and cooking are also on the schedule. LARP: Live Action Role Play is the name of the game! Y Staff and local volunteers awaken the minds and inspire creativity through role playing. From creating props and designing costumes to deciphering scrolls and traveling through the Forbidden Marsh, Y kids are bound to enjoy tracking dragons, learning the art of boffering, and coming up with their very own character names. Fundamentally Fit Physical Activities: Y Staff and local volunteers work with students to learn new skills and develop those they already have in sports both old and new. Basketball, Pickleball, Soccer and many other sports are offered at different times throughout the year. In collaboration with the Port Townsend School District, transportation to the Y will be available from each school. Check with staff to determine specifics for your school. All Salish Coast Elementary (K-5) students and Blue Heron Middle School (6th +) students will walk escorted from the bus stop at Mountain View Commons (1935 Blaine St) to the YMCA of Jefferson County. On early release days the kids will follow their regular bus routes arriving two hours earlier for extra Super Rec time and a trip to the City Pool before enrichment activities begin. Each day during Super Rec there will be a cooked from scratch five component supper for students. Meals consist of protein, grain, two servings of produce and milk. Students are welcome to bring and eat their own snack. Sharing is allowed only if enough is available for all children. In accordance with the Port Townsend School District, our YMCA ATB Site is a NUT FREE zone. Please click on the link below to see School Break Camps for the 2018-2019 school year.